From the first scene itself, the promo will leave you amazed and wanting for more. 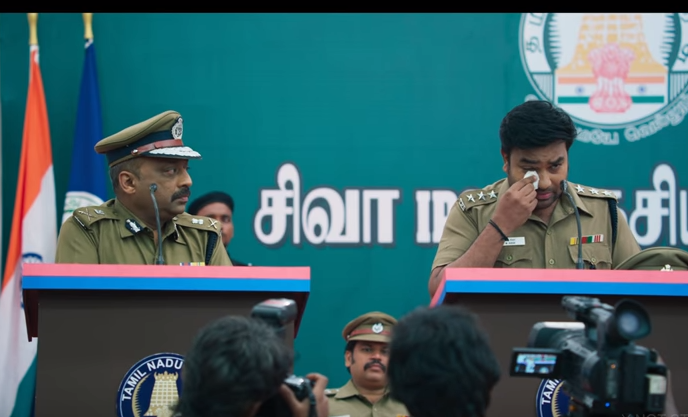 The first official teaser of Tamizh Padam 2 is out and will leave everybody’s funny bones tickle. The teaser has raised the expectations bar and is only making us wait for the trailer. From the first scene itself, the promo will leave you amazed and wanting for more. With it’s funny references to films like Kaththi, Baahubali, Spyder and many other films, this spoof-comedy will leave you in splits and asking for more. Produced by Y NOT Studios, the film stars Shiva, Disha Pandey, Ishwarya Menon and Sathish in the lead. Meanwhile, the filmmakers of upcoming spoof movie Tamizh Padam 2 on Monday put out a press release explaining why the film did not arrive in cinemas on the date announced earlier. “TP2.0 has huge amounts of visuals effects (CGI) work, mainly to show our lead actors in good light. Consequently, the work on our hero, biceps & shoulder had been outsourced to a studio in LA, California and the heroine, wrinkle removal and under-eye work to a studio in Amsterdam. Due to the massive amount of VFX required in these areas, we’ve had to reschedule our release but fear not, we plan to meet you soon in theatres! (sic),” the statement read. In the March, the makers released a song from Tamizh Padam 2.0 titled Evada Unna Petha. Sung by Ranina Reddy, the lyrics of Evada Unna Petha are penned by C.S.Amudhan and Chandru. The song went viral in no time. Tamizh Padam 2 is a sequel to blockbuster spoof movie, starring actor Siva, which had released in 2010. The film was a parody of many popular films in Tamil.